This exclusive Lyons Elite speed dating event is one of the best ways to quickly meet like-minded, attractive individuals who are interested in romance. You’ll have the opportunity to chat and flirt with charming people who — like you — are motivated, driven, and passionate. 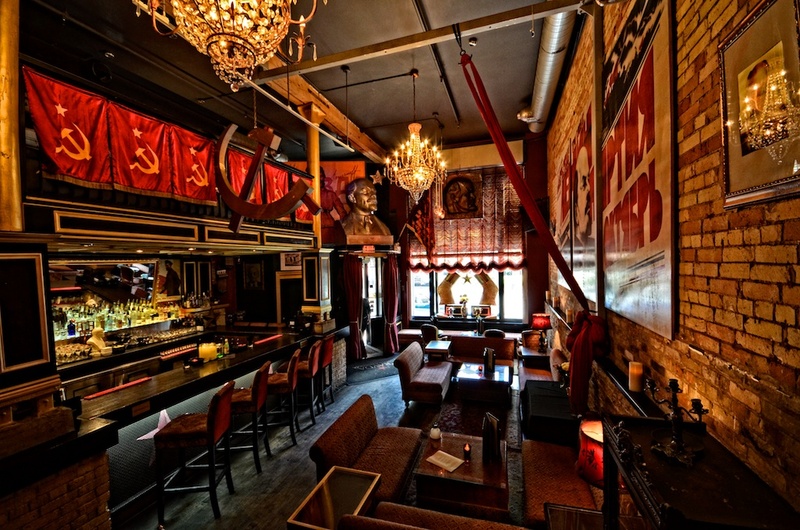 Book your spot and boldly walk into the darkly elegant Pravda Vodka Bar for a lively and casual evening of fun, romance, and the exciting possibility of meeting the perfect person. If you have a burning desire to succeed…if you like the thrill of taking on the challenges that life throws your way…if you are a shining representative of all that is the very best in your career or profession…then this is the speed dating event for you. It’s for those who have dared to be bold and made the world their own. If you are the best, you deserve to be matched with the best. If you’re highly driven and successful, most people aren’t like you at all. But here, at this speed dating event, you’ll meet people with a winning attitude and high personal magnetism — you’ll flirt with successful individuals like you who are looking for romance. Your romantic life should be an extension of the success you have enjoyed elsewhere. You’ve had great success in other areas of your life, so why not extend that success into your love life? This speed dating event will give you the opportunity to enjoy a fun, passionate, and meaningful romantic life. Save time. Lost time is lost forever. By going to this speed dating event, you won’t have to go to the trouble of going on endless dates before finding someone you truly “click with.” Quite the opposite, in fact: you’ll meet a lot of attractive people you share chemistry with — saving you time and adding more fun and excitement to your life. It’s simple, actually. Upon arriving, you will be greeted by our friendly hostess and signed in. You will be given a badge which matches a table in the room. Every 4 minutes, there will be a rotation (men rotate, women stay seated) when the bell is rung. If you are interested in one of your dates, simply note this down on a card you will be given. Take this card home with you; from here, all you have to do is send an email to our hostess with your list and she’ll promptly send you an email with your matches. Liven up your week and your romantic life — book your ticket to this Toronto speed dating event today. Spaces are limited, so better book now before we run out of space!